Saudi Arabia thinks the world needs more oil, not less. Saudi Aramco, the kingdom's state-owned oil company, will continue to increase production to meet rising demand, its chief executive said Tuesday. And he expects prices to start rising by early 2017. "Supply and demand will come into balance by the end of the year, or first quarter next year," Aramco CEO Amin Nasser told reporters. "Prices will trend higher when that happens." Oil prices dropped to their lowest level in over a decade earlier this year as producers pumped more oil than the world needed. But they have stabilized around $45 a barrel despite Saudi Arabia's move to block a planned production freeze by OPEC and other producers. The International Energy Agency predicts global demand for oil will rise in the second half of this year and slightly surpass current levels of supply, which stand around 96 million barrels per day. Aramco pumps more than 10 million barrels of oil per day. Nasser made clear that number will rise if there are buyers for the barrels. "Our strategy is to meet the [demand] on Saudi Aramco," Nasser told a group of reporters at his company headquarters. "If it means we need to increase our output, we will do it." Saudi Arabia recently announced its intention to make a small portion of Aramco available to global investors. It is mulling an initial public offering in New York, London and Hong Kong, alongside a smaller listing on the Saudi stock exchange. Deputy crown prince Mohammed bin Salman estimates the company is worth more than $2 trillion. Saudi Arabia is the unofficial leader of OPEC, a group of some of the biggest oil exporting nations in the world. It has pressured other members to keep production levels high, which has squeezed producers in places like the U.S. that tend to have higher production costs. Analysts say Saudi Arabia's goal is to maintain its global market share. Saudi Arabia ousted its long-serving oil minister Ali al-Naimi over the weekend and replaced him with Khalid al-Falih, the chairman of Aramco. But the change isn't completely radical. 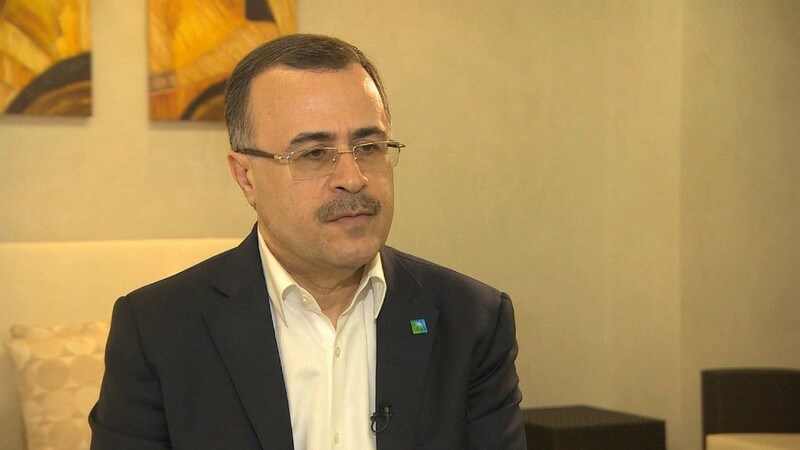 The new minister is well known in the world of oil and was CEO of Aramco for six years between 2009 and 2015.